In 1965, an Austrian immigrant couple established Hermann Gmeiner’s idea in Chile. Thanks to the excellent collaboration of the organisation with national youth welfare authorities, the activities of SOS Children’s Villages in Chile have been a success story. At present there are fourteen SOS Children's Villages in operation, nine SOS Youth Facilities and twelve SOS Social Centers. SOS Children’s Villages started working in Chile in 1965 in the area around Concepción. At present, the organisation runs 14 SOS Children’s Villages in the country. We have been supporting children and families by providing day care, vocational training and education. Children whose parents cannot take care of them will find a loving home in one of the SOS families. 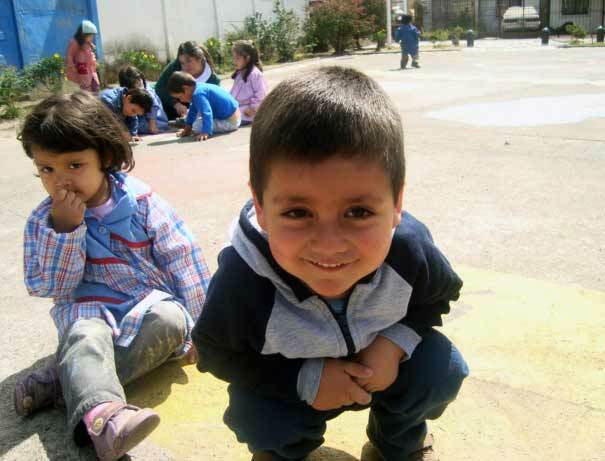 In total, nearly 9,000 children currently benefit from the work of the organisation in Chile. SOS relies on the kindness and generosity of Canadians to be able to provide a home for the most vulnerable children of Albania. Please help us ensure a loving home for every Chilean child. Sponsor a child in Chile now. Your donation will help change an orphaned or abandoned child's life. The Republic of Chile's capital and largest city is Santiago. 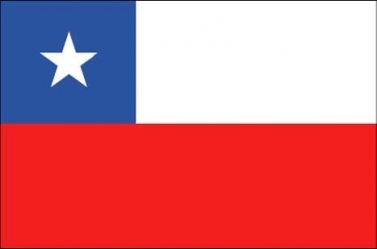 Chile’s total population amounts to approximately 17 million, of which roughly one third reside in Santiago. Over 90 per cent of the population are Roman Catholic. Spanish is the official language in Chile, though Aymara is spoken in the north and Mapuche in specific areas of the south. From 1973 to 1990, Chile endured 17 years of dictatorship under General Augusto Pinochet. In 1973, Pinochet led a military coup that resulted in the overthrow of the first democratically elected Marxist president in the world, Salvador Allende Gossens. Pinochet’s dictatorship was marked by economic reforms, including the privatization of many state-run industries and the retrenchment of state-welfare policies. Thousands of Chileans were tortured and murdered by his regime and many fled into exile. Public opinion in Chile remains divided with regards to both Allende and Pinochet. Economically, Chile has turned into a prosperous nation. It is the leading Latin American country in terms of competitiveness, income per capita and human development. However, wealth distribution in Chile remains highly unequal and many Chileans have not been able to benefit from the country’s economic progress. Although poverty is far less visible in Chile than in most other Latin American nations, roughly 11 per cent of all Chileans are still considered poor by national standards. In spite of Chile’s powerful economic development over the past decades, many Chileans are struggling to make ends meet. Some economists have also argued that poverty figures are actually higher than those published by the Chilean government. The terrible earthquake that shook Chile in February 2010 has certainly aggravated the living conditions of the country’s poor. However, severe structural poverty in Chile had already existed before the natural disaster. Nearly 33,000 Chileans face a life in shantytowns. Most of them are located in the Valparaíso region and just outside of Santiago. Access to electricity, sewage systems and drinking water is scarce there. Due to the earthquake, many Chileans in the central and southern regions of the country have lost their jobs and now lack a regular income. Chile remains marked by persistent gender inequality. The country has the lowest rate of female labour force participation in Latin America. Marriage at an early age and adolescent pregnancies are still common in Chile. According to UN reports, roughly 12 per cent of all Chilean girls between the ages of 15 and 19 are either married, divorced or widowed. Due to the comparatively strong influence of the Catholic Church on the country’s legal and social landscape, abortion is completely illegal. In fact, the country has one of the strictest abortion laws in the entire world. Emergency contraceptives are generally banned and only available under specific circumstances. However, adolescent pregnancies in Chile remain fairly common. They usually bear an increased risk of maternal and infant mortality and greater reproductive health risks in general. Young mothers are also more likely to end up in poverty. At 95 per cent, Chile has one of the highest primary school enrolment figures in Latin America. 99 per cent of the population between 15 and 24 years of age knows how to read and write - one of the highest literacy rates in South America. However, for many families who live in rural areas of the country access to education still proves to be rather difficult, both for economic and logistic reasons. Due to a persistently high level of economic inequality, the number of children living in poverty remains fairly high. By national standards, roughly 25 per cent of Chilean children under the age of 18 face a life under the poverty line. Child labour laws in Chile are fairly strict. However, many children are employed in the informal sector where rigid standards are often not obeyed. Although Chile ratified the Convention on the Rights of the Child (CRC) in 1990, roughly 240,000 children in Chile still engage in labour activities. Around 13,000 of them work in the streets where they are exposed to toxic fumes and traffic-related dangers. They are also at risk of being sexually abused by adults. Domestic violence against children remains a problem in Chile: one in four Chilean children experience physical aggression against them.